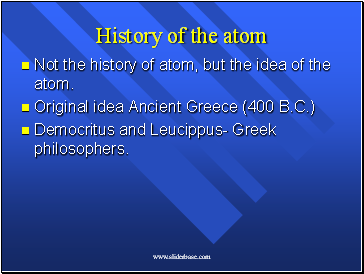 Not the history of atom, but the idea of the atom. Democritus and Leucippus- Greek philosophers. Greeks settled disagreements by argument. 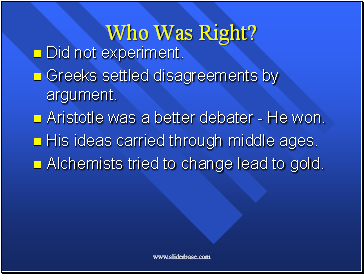 Aristotle was a better debater - He won. His ideas carried through middle ages. Alchemists tried to change lead to gold. 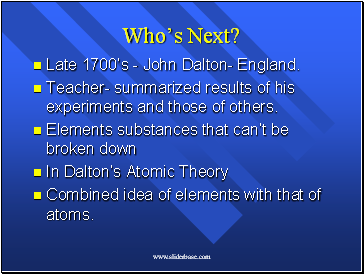 Late 1700’s - John Dalton- England. Teacher- summarized results of his experiments and those of others. Combined idea of elements with that of atoms. 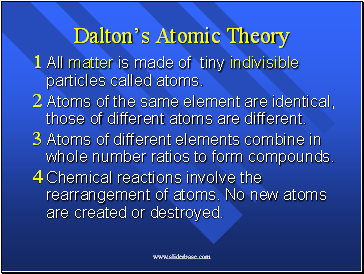 All matter is made of tiny indivisible particles called atoms. Atoms of the same element are identical, those of different atoms are different. 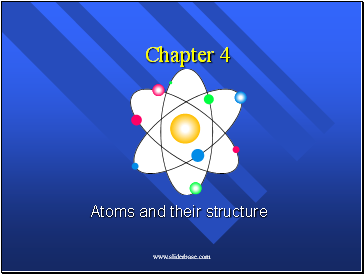 Atoms of different elements combine in whole number ratios to form compounds. Chemical reactions involve the rearrangement of atoms. 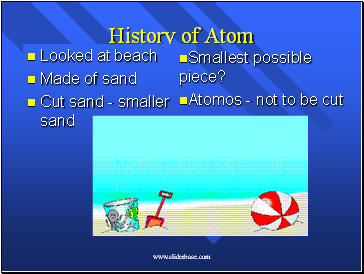 No new atoms are created or destroyed. 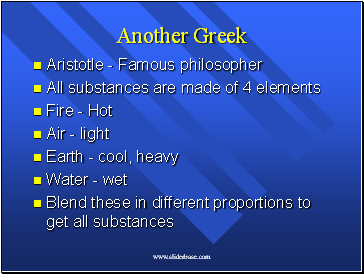 Each compound has a specific ratio of elements. It is a ratio by mass. 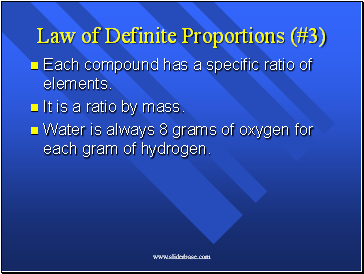 Water is always 8 grams of oxygen for each gram of hydrogen. 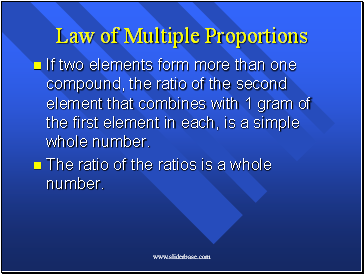 If two elements form more than one compound, the ratio of the second element that combines with 1 gram of the first element in each, is a simple whole number. The ratio of the ratios is a whole number. Water is 8 grams of oxygen per gram of hydrogen. 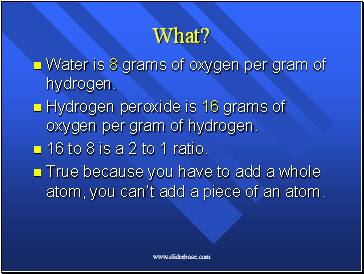 Hydrogen peroxide is 16 grams of oxygen per gram of hydrogen.